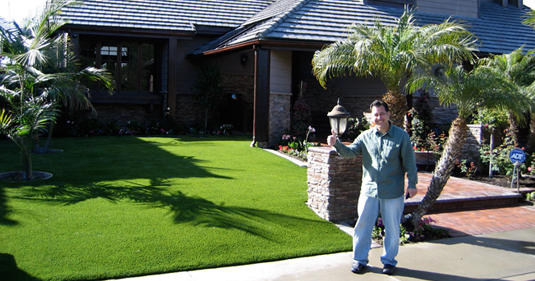 Laguna Turf prides itself on it's ability to make our clients are happy. 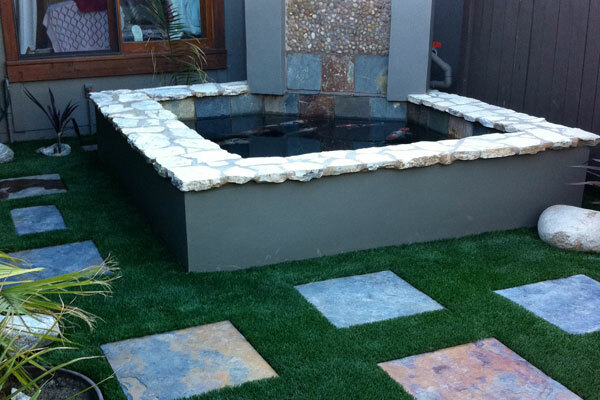 We proudly offer FREE in-home estimates to anyone looking to make the jump to artificial grass. We understand how difficult it can be to understand the products and how appealing the savings are. We are here to take all the guess work out of your decision. 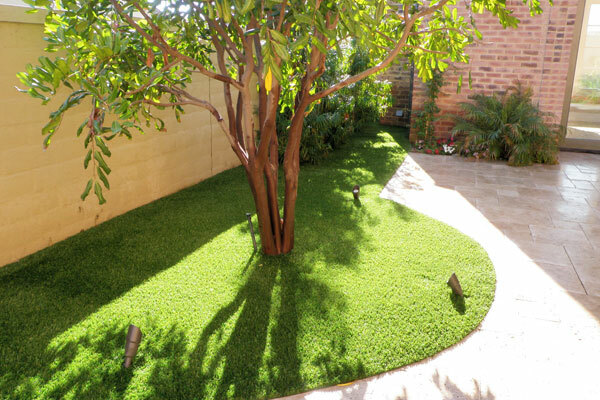 We will help you to understand each of our artificial grass products so that you are able to make an informed decision that you can be confident with. 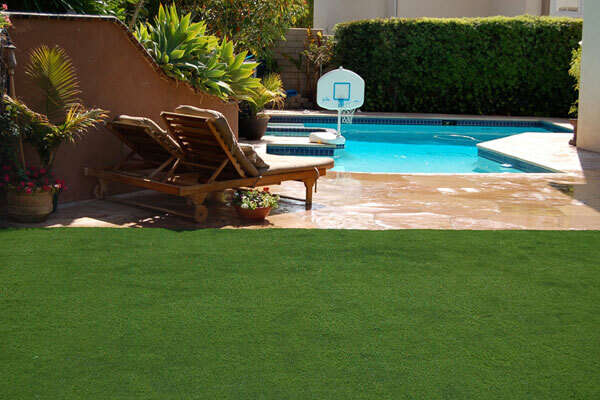 Everything from product choice, area measurements, design, and installation services will be addressed in a one time meeting with one of our artificial grass professionals. 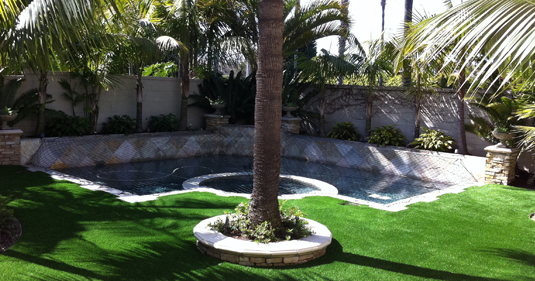 Laguna Turf is proud to announce that we are a CERTIFIED SGW LANDSCAPE AUTHORIZED DEALER. We have completed all the necessary courses on product knowledge, customer service and installation. This certification ensures that you are purchasing the best artificial products available from and working with an exceptional installation company. Take a look at our featured install of the month! 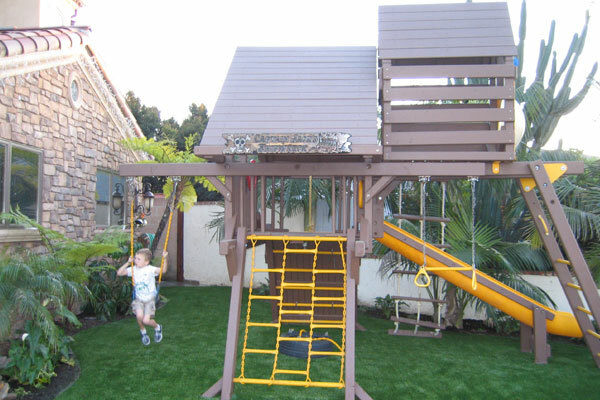 We used the Sierra Pro product series for this install in San Diego, California. Be sure to keep checking back for more featured installs! Would you like to see more? Please feel free to visit our installation portfolios! Would you like to know more about our company? Click the link to the left to watch a video about how great our products are and what our company can do for you! 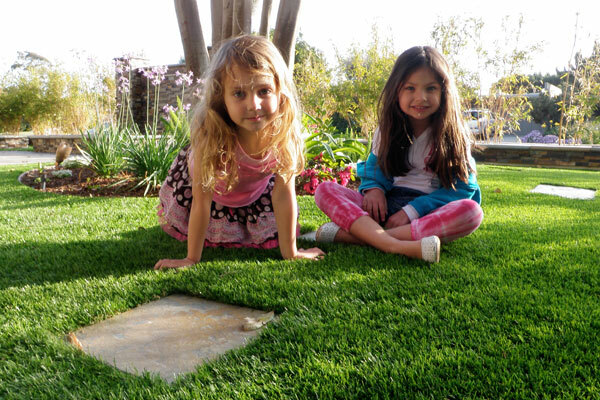 Synthetic Grass is Environmentally Friendly! Want to see how its done? 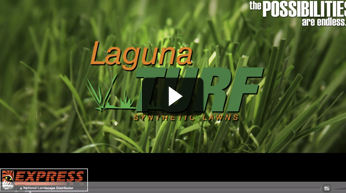 Click the image to the left and let Laguna Turf take you through the entire installation process from start to finish in this short video. 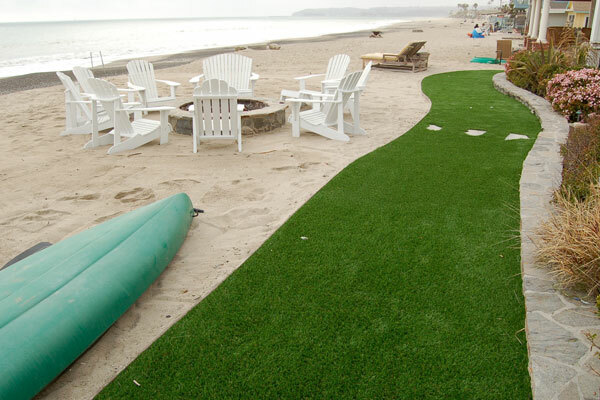 Laguna Turf offers an array of products for your front and back yards. A full range of colors and densities are available and sure to fit your needs. 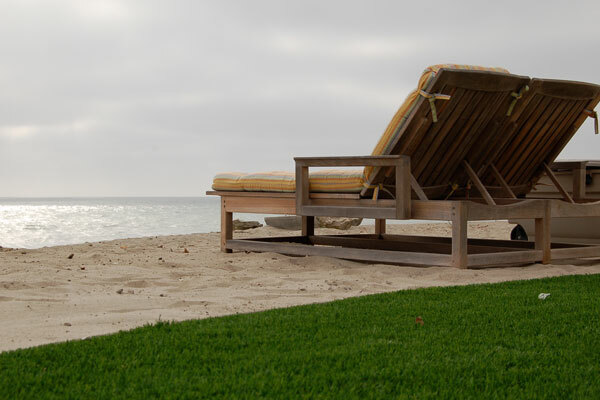 No more mowing, no more watering, no more dead spots and no more dormant seasons. 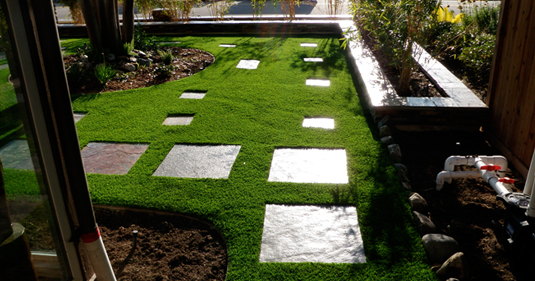 With Laguna Turf your yards will have that perfectly manicured look all year 'round! 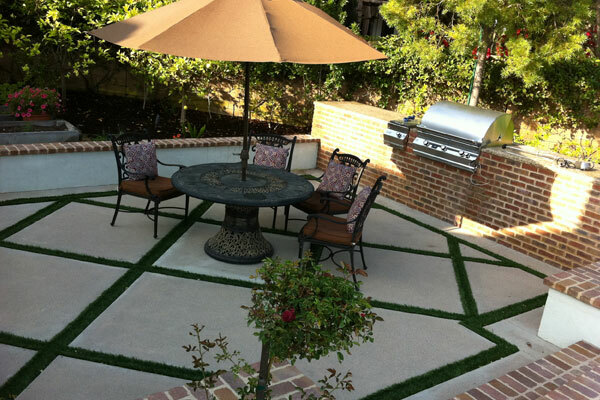 Laguna Turf knows the cost's associated with keeping your grounds looking professional and clean. 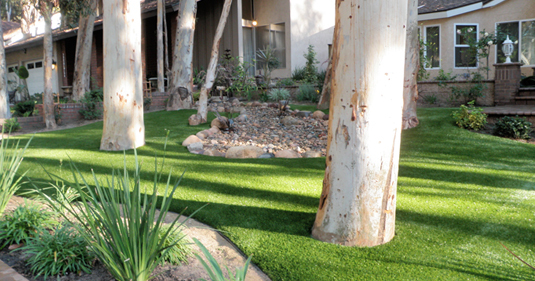 Artificial grass offers a solution for your business on multiple levels. 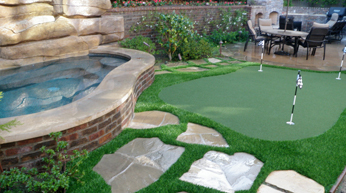 ONE, cut watering and maintenance cost to zero! 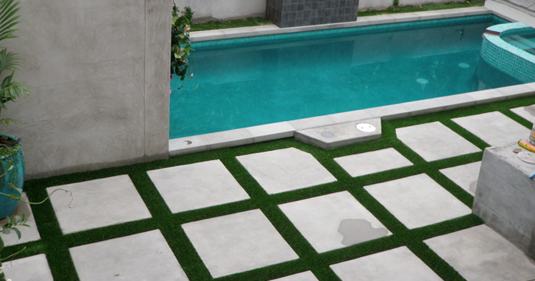 TWO, continue to have that professional landscape look your clients have come to enjoy. THIRD, be a part of the growing majority of businesses doing their part to help the environment. 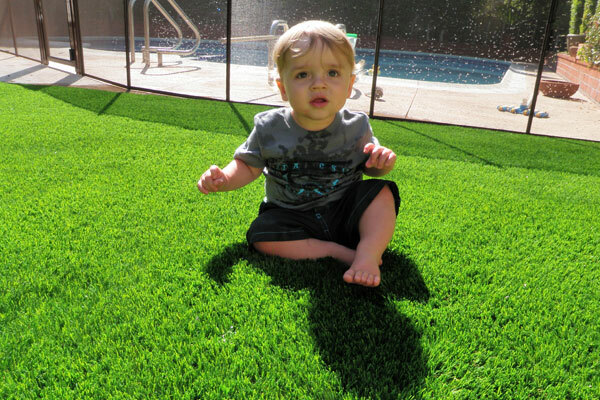 Save with Laguna Turf artificial grass today. Laguna Turf golf greens come in three different flavors. Fun, Intermediate and Pro! 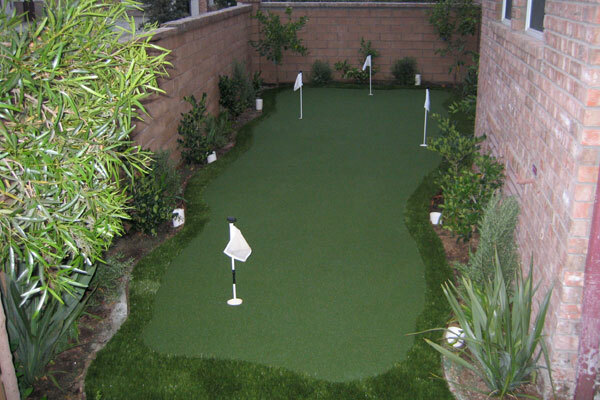 No matter what you are looking for in an artificial putting green we are the caddy you have been looking for. 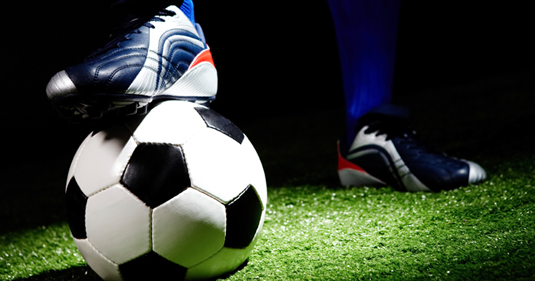 All of our products have been highly tested and made to get as close to the real thing as possible. Call us today for your free estimate at 888-356-9192 or fill in our estimate form. Here at Laguna Turf we love love our animals too. 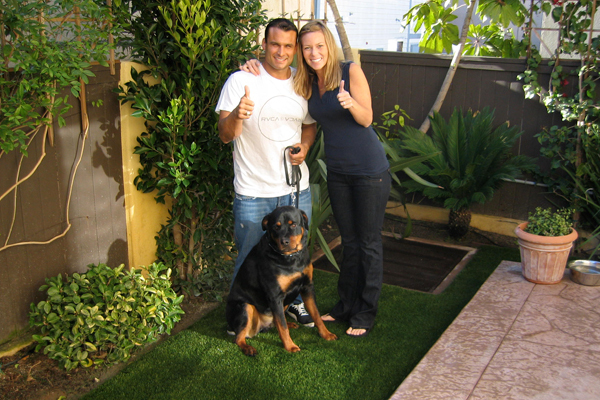 That's why it was so important for us to come up with a product system rather than just an artificial grass product. 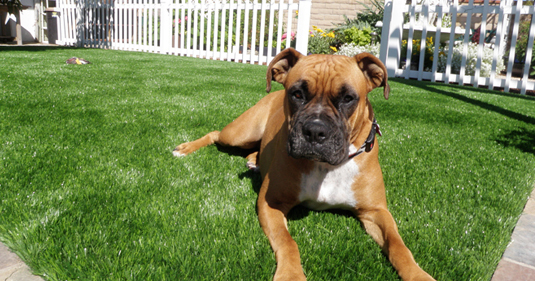 Our system is 100% pet safe and durable enough for the large animals. 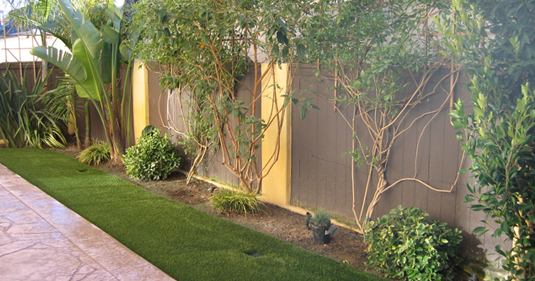 The pet system starts at the base and is apparent through every layer of the installation process. For more information on our pet system call us at 888-356-9192 or fill in our info form.